Dr Greg began practice in Western Australia in 1985 in the central wheat-belt (Northam and Merredin), later moving to join his chiropractor wife, Dr Andrea Keil in Perth. They have 4 children. He has worked continuously in chiropractic practice, caring for all ages and groups. He is regularly involved in further study from sports to pediatrics, including having recently completed a Life Coaching qualification. Dr Greg has been an active contributor to the development of the profession for many years. 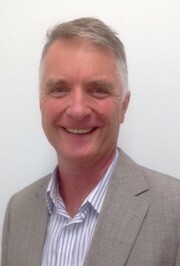 For his service he was elected by his peers as “WA chiropractor of the Year” in 2012”. He has a range of personal experience and interests including hiking, horse riding and yoga. “Like many of us, I have enjoyed success in life and struggled with adversity. The key to being well is active engagement, physically, emotionally and with good nutrition and lifestyle. I look forward to meeting you, assisting you to better health, and sharing our philosophy in health and healing”, said Dr Greg. Dr. Marslen is available to speak to your business, school or social club on a range of topics related to chiropractic, injury prevention and wellness care. To experience better health have a chiropractic check-up regularly. Call us at (08) 9371 7633 today. With both of my parents being chiropractors, it was natural for me to follow in their footsteps! I have a keen interest in health, wellbeing and helping others live the best lives they can. This led me to complete a Bachelor of Science and Bachelor of Chiropractic at Murdoch University, graduating with distinction. I was highly involved in university life, participating on the boards of the Student Association and the World Congress of Chiropractic Students (WCCS) Murdoch chapter. Outside of university, I have been involved with various organisations promoting health. I travelled to India in both 2010 and 2015 with the Hands on India group, bringing chiropractic care to those less fortunate than us. It was in India in 2010 that I decided to become a chiropractor, seeing the huge impact of the adjustment on the lives of those we helped. Travel has helped me appreciate fully how fortunate we are to live in Perth, particularly for the outdoors and beach culture. On my days off you’ll find me on the beach with our family dog Jack, in a cosy café with a coffee, or Pinteresting new healthy recipes to try! I am proud to join my parents at the family practice to offer chiropractic care to people of all ages. I look forward to meeting you and helping you on your path to better health! 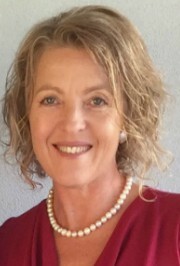 Dr. Andrea graduated from RMIT (Melbourne) in 1987 after 8 years at university completing a Bachelor of Applied Science (Human Movement) and the 5 year Bachelor of Applied Science (Chiropractic), which she completed alongside her brother. 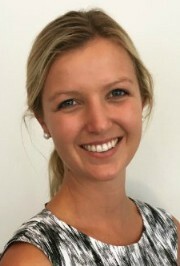 Dr. Andrea moved to Perth upon graduating, where she established Keil Chiropractic in Nedlands. Marriage (to Dr. Greg Marslen) and becoming a mother of 4 led to a focus on caring for women, children and pre- and post-pregnancy care. Greg and Andrea relocated to Chelsea Village Chiropractic in 1987 until 2006, when they moved to the present location in Maylands. Outside of the practice Dr. Andrea loves heading to the beach for early-morning yoga, meditation and swim with the family dog Jack, followed by coffee with friends.